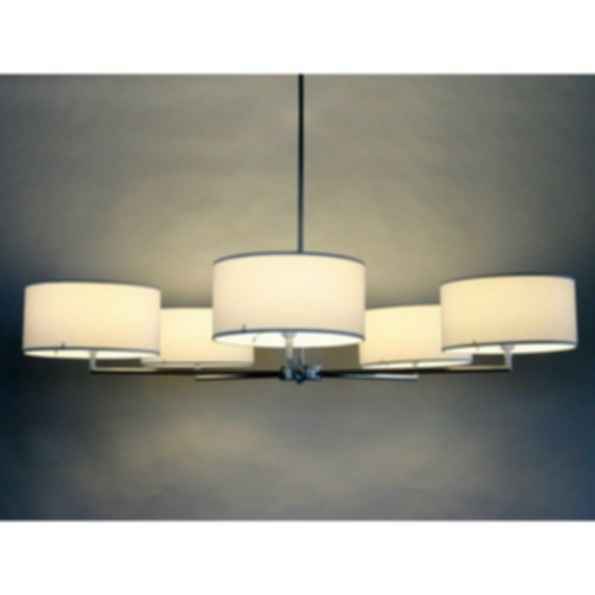 The celestial big brother to our Star Chandelier that comes in all our natural wood veneers, or pure bright white. With a brushed nickel finish, the Megastar provides enough light for lobbies, atriums or the occasional international space station. Available in Maple, Cherry, Wenge, Zebrawood, Birch Veneer and White Linen. Dimensions: 50 x 8" Weight: 8 lbs. Wattage: 500 Watt Incandescent, 55 Watt LED retrofit. Custom stems available (12", 18", 30", 36", 48", 60", 72").